To ensure that our customers have access to the best and latest information for all of the SaaS based Cloud products offered, we decided that training content had to be accessible online, from anywhere on the planet via a secure connection, and available to you literally 24/7, 365 days of the year. Beyond the incredible training we do during the implementation phase that have our instructors going through the products step by step with your team members, we also have our mTech University LMS (Learning Management System) available online. mTech U is built to leverage the latest and greatest online learning practices found in higher education and enterprise level companies, so that your team members can get up to speed quickly without having to pay the huge training costs of our competitors. With streamed video How-To’s that take you through the use of every part of the applications, your team members can easily pause the tutorial, go back, or fast forward to any part of the learning module, what ever number of times they need! 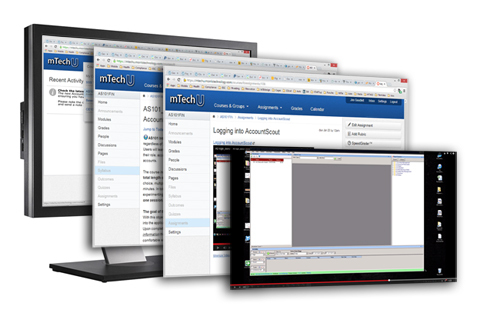 At Morris Technology, we also recognize that team members change over the years at a media company, so we built mTech U to ensure that new team members can easily come on board by taking the online classes to get up to speed quickly. Any of your teams can also get a refresher on applications at any time, and as well, we also have built learning modules on the new features and functions for all of our applications. In total, having a learned workforce guarantees that you and your team members can maximize the use of the applications and in kind, grow your revenue to new heights!